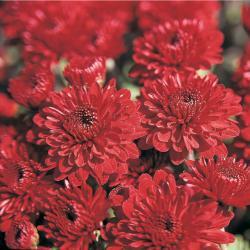 Garden mums aren’t annuals, but they’re not exactly perennials, either. They will come back next year– if you take the proper steps and are lucky. 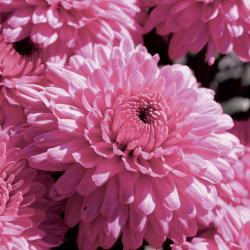 “They’re called garden mums (rather than perennial or hardy mums) because sometimes they don’t winter over,” explained Ron Heimiller, president and head grower at Heimiller Greenhouses in Newfane. 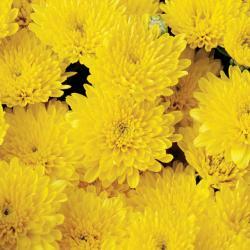 Whether garden mums will survive the winter depends on a number of factors, including your soil conditions and how harsh the winter is, Heimiller said. But there are steps you can take to increase the odds that your mums will come back. “First off, find a mum that was grown outside to begin with,” Heimiller said. Growing the plant outside helps it become acclimated to our weather, he explained. “It makes a big difference,” he said. At this time of year, try to choose a plant with just a few buds opening and a lot of buds coming up. The plant will last longer and you’ll get the full enjoyment of the plant. Dig a hole bigger than the pot. Unpot the plant. Stick your finger into the bottom of the root ball and tear the roots a little bit. Do that in three or four places. This will force the plant to start rooting again and will help the plant establish strong roots, Heimiller explained. Set the plant in the hole and fill in with dirt. For the first week or ten days, water the plant once a day, especially if it’s dry. Make sure it doesn’t wilt. There’s no need to fertilize, he said, but if you want to fertilize, you can give it a light feed. After there’s been a freeze (not a light frost, but a heavy freeze), cut the plant down to just two inches above the ground. Cover it over with a heavy blanket of leaves, straw or mulch. The objective is to keep the ground frozen or to keep the ground thawed. You want to avoid a freeze-thaw cycle. 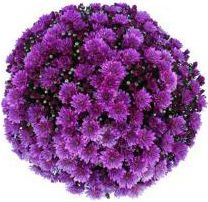 Freezing and thawing can “heave the root ball right out of the ground and destroy the mum,” Heimiller said. Your blanket of mulch should be six to eight inches deep. If you pile leaves on top and the leaves sink to less than six inches deep, add more. “The more the better,” he said. 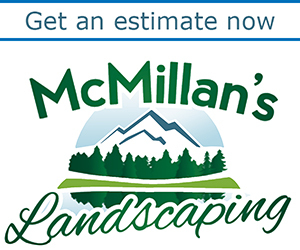 Your blanket of mulch should extend six to eight inches beyond the outside of the root ball. In the spring, remove the mulch. Do this as soon as the frost is out of the soil. Generally, that will be in April, depending on the weather. We’ll still get frosts then, but that won’t hurt the plant, he said. Be careful when you remove the mulch; the plant may be growing. It won’t be green, though, it will be white. When the plant is three to four inches tall, cut the plant in half. When the plant gets yet another three or four inches of new growth, pinch that back. Keep doing that until July 4. Pinching the plant this way forces new shoots out, Heimiller explained. Your mum will be shorter and bushier and have more flowers. 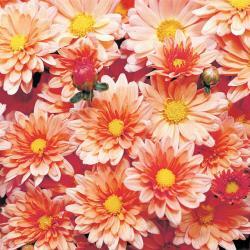 In the spring, once your mum is growing, sprinkle a handful of 10/10/10 fertilizer six to eight inches around the plant. You can also use water soluble fertilizer. “Mums are heavy feeders,” Heimiller said. 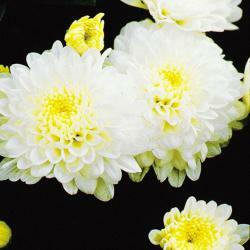 Heimiller Greenhouses grow more than 50 varities of garden mums. Three great tips for enjoying your Buffalo-area garden in early fallShould you prune roses in fall or spring in WNY? Hint: not fall!